A former SNP deputy leader has branded plans to cut the number of Scottish MPs “outrageous”. 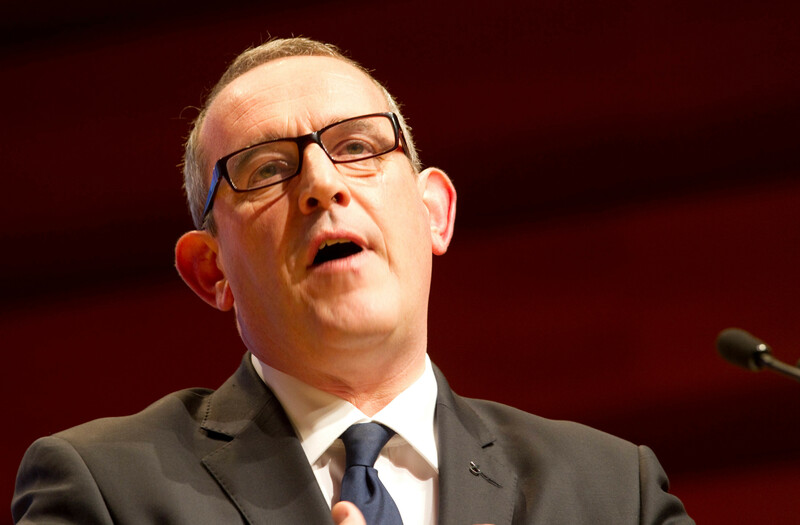 Stewart Hosie would see his Dundee East constituency take in swathes of Tory-held Angus under Boundary Commission proposals to redraw the Westminster map in Scotland. The move reduces Scots seats from 59 to 53 as part of a 7% reduction in the number of MPs across the UK. Mr Hosie, whose heavily-reduced majority could be wiped out from the changes, backed his prospects in a redrawn battleground. However, he lashed out at cutting MP numbers north of the border, which David Cameron called for in 2011. “It really is quite outrageous that they keep trying to persevere with reducing Scotland’s representation,” Mr Hosie said. “Obviously, we will look at the maps in detail, but frankly this has become an annual joke as the number of MPs in Scotland is squeezed and squeezed and Scotland’s voice is squeezed correspondingly. All the constituencies in Tayside and Fife are seeing shifts in their borders under the proposals, with most getting new names. The changes are being made to reduce parliamentary costs and ensure voters are more evenly distributed among constituencies, say UK ministers. The commission was told to ensure each constituency has a voter population within 5% of the 74,769 UK average – although there are exceptions for larger and island constituencies. Parties across Holyrood called for the plans to reduce the number of Scottish MPs to be dumped. A Scottish Labour spokesman said the party “opposes any proposals to cut the number of Scottish MPs”. However, Chris Skidmore, the UK’s constitution minister, said: “Without any boundary reforms, constituencies would be based on data that is more than 20 years old. The consultation on the revised proposals runs until December 11. Jeremy Corbyn’s constituency remains under threat as part of plans to cut the number of Westminster seats, published by the Boundary Commission for England. The Labour leader’s Islington North seat will cease to exist under the proposal to shake up constituencies across the UK in order to reduce the number of MPs from 650 to 600. However, the proposals appear unlikely to be approved by Parliament after Theresa May lost the Conservative majority in the Commons, as the plans would face stiff opposition from other major parties and disgruntled Tories who stand to lose their seats too. The latest version of the changes proposed by boundary commissions in England, Scotland and Wales will be subject to an eight-week consultation. Foreign Secretary Boris Johnson’s Uxbridge and South Ruislip seat faces being scrapped, with large parts moved to a new constituency of Hillingdon and Uxbridge. However, Prime Minister Theresa May’s Maidenhead seat remains unchanged. Final proposals will be submitted to Parliament in September 2018 and if agreed, the new constituencies will be in use at the next scheduled general election in 2022.